At the turn of the twentieth century, many observers considered suicide to be a worldwide social problem that had reached epidemic proportions. In Mexico City, violent deaths in public spaces were commonplace in a city undergoing rapid modernization. Crime rates mounted, corpses piled up in the morgue, and the media reported on sensational cases of murder and suicide. More troublesome still, a compelling death wish appeared to grip women and youth. 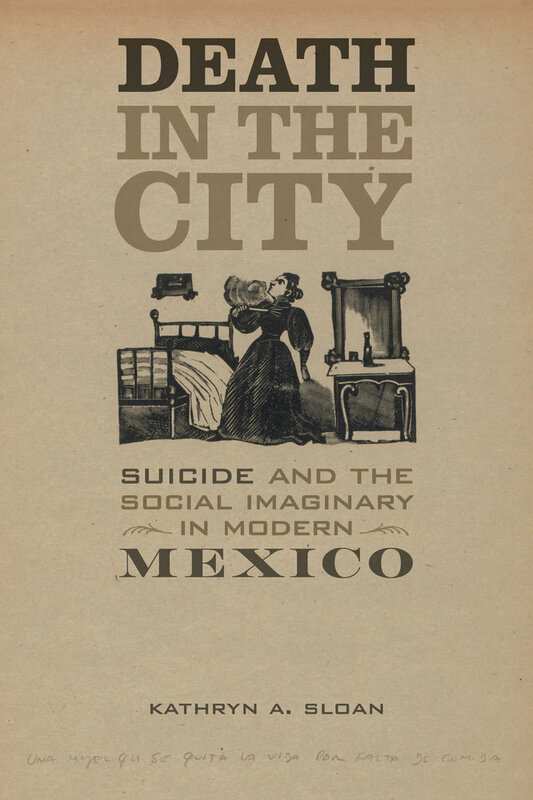 Drawing on a range of sources from judicial records to the popular press, Death in the City investigates the cultural meanings of self-destruction in modern Mexico. 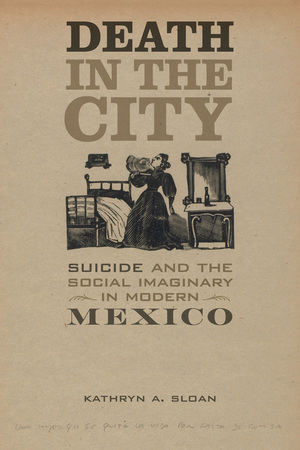 The author examines responses to suicide and death and disproves the long-held belief that Mexicans possess a cavalier attitude toward suffering. Kathryn A. Sloan's interview on the New Books Network.